Pause for a moment and gaze into the distance. 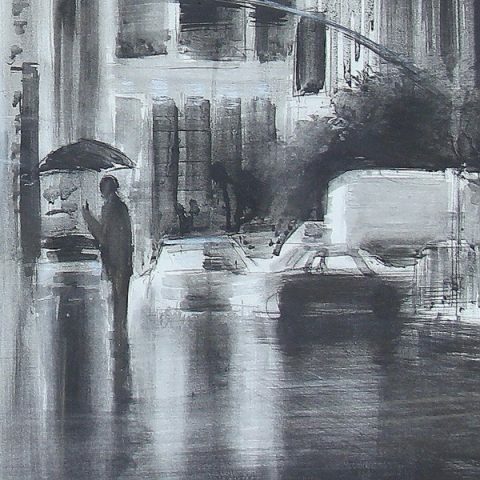 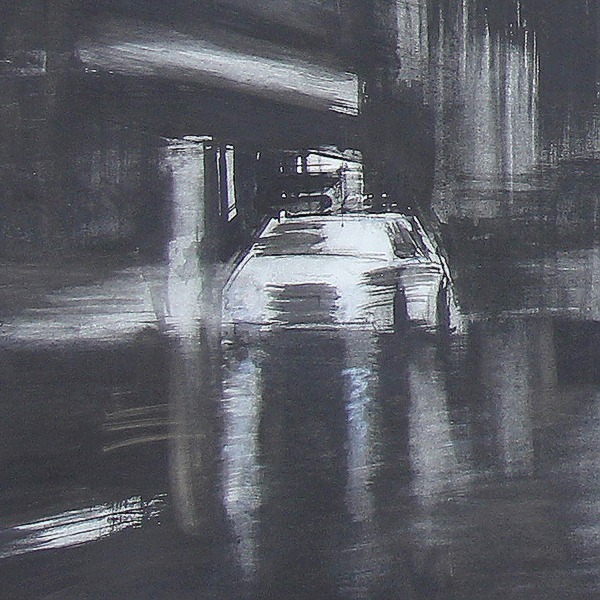 Paul has painted with graphite which creates a strong visual depth. 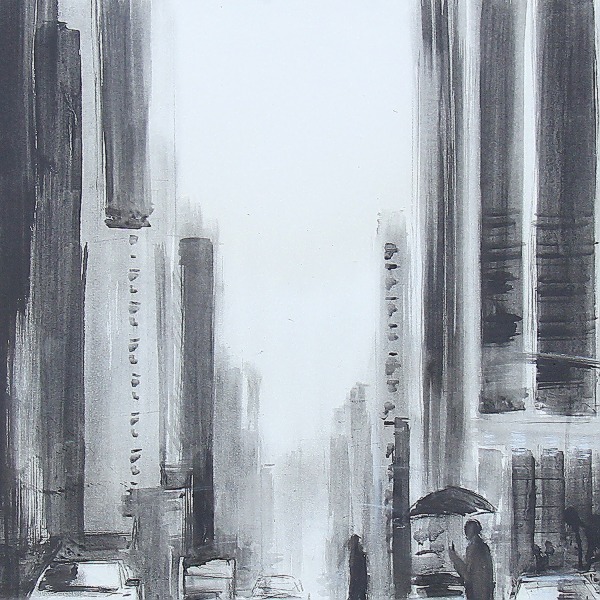 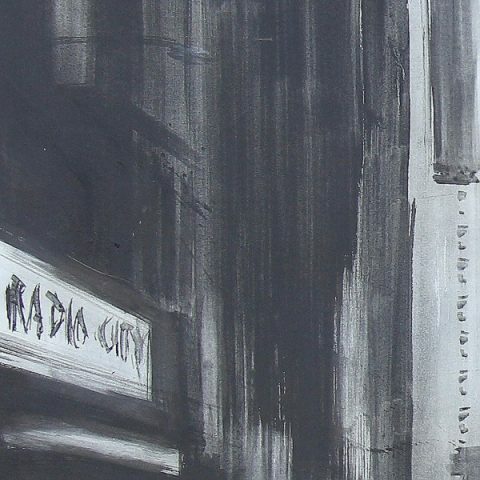 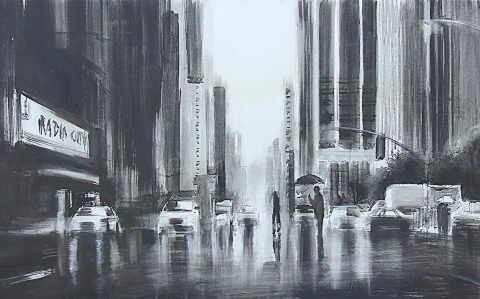 “Crossing at Radio City” transports you to the streets on New York, walking at the foot of high rise buildings. 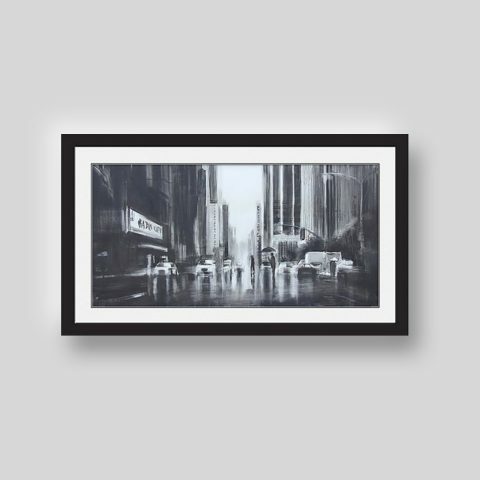 This artwork comes beautifully finished in a crisp white mount and black frame.